Clean Shapes Logo Reveal Pack features clean, minimalist, and modern design with a simulation of a 3d studio with shadows and reflections. You can change all the colors in one place and with ease. There are three versions included in the pack: square, rectangle and a circle. 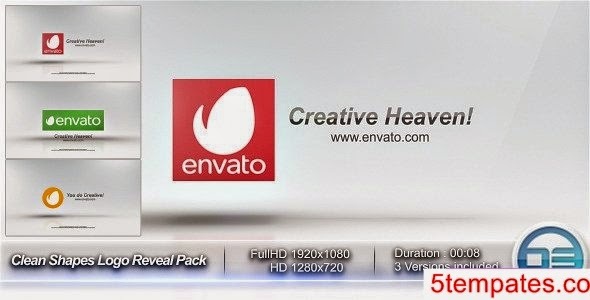 This project is made in FullHD 1920×1080 and HD 1280×720. You don’t need any plugins for this project.